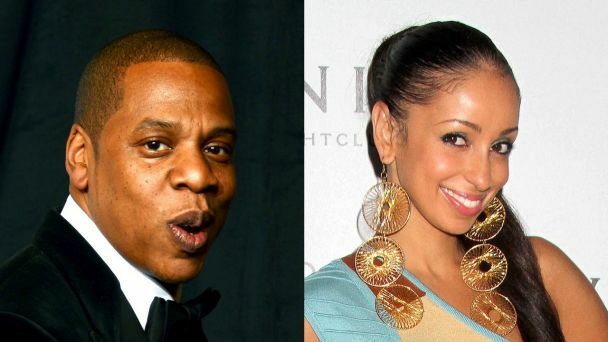 Rumor mill has it that JayZ and Beyonce are having marital issues. Beyonce kinda sparked things even more during her performance on the couples On The Run tour in Ohio on Saturday. While performing the song “Resentment” she changed the lyrics from ‘Been riding with you for six years’ to, ‘Been riding with you for 12 years’. We all know she has been with JayZ for about 12 years so fans got curious that maybe she was referring to JayZ in the song, which by the way is a song about cheating. The lyrics in the song also had these bits ‘Look what you’ve done-done to me now. I gotta look at her in her eyes and see she’s had half of me, she ain’t even half of me.’ And ‘I tried and I tried to forget this. But I’m too damn full of resentment. I know she was attractive but I was here first.’ .. What does Mya have to do with all this you ask? Never did, Never was, Never will. Illegitimate, thirsty sources with no facts and that the “media” for you-especially today. I play second to no one, pay my own bills, have my own label, own management company, rely on God only and respect myself & marriage way too much for this nonsense. False rumors are crafted for ratings and numbers. And misrable, unhappy people need someone to judge to deter the attention away from their own miserable lives. If they did it to Jesus, they’ll do it to anyone. God Bless. Rumor mill also said Jay Z and Beyonce are members of illuminati so hey, anything goes with this rumor mill of a situation. lol. Well, I believe Mya. I do not think Jay Z would let Beyonce sing or perform a song about his extra-marital affairs if in fact he has any. Makes no sense. Personally I think Beyonce and Jay Z understand that controversy sells and that is exactly what they are doing, selling. Create stories in peoples minds and have them talk. At this stage I wont be surprised if the elevator fight was staged. Afterall, its show business and they can’t tell me they did not know elevators have cameras. Marital issues or not.. cue’s *Kermit the Frog*. but that’s none of my business.. He is not worried about that chick and i wonder why people are trying to start these rumors. Mya should sue CDCN for “revealing” that blind. They need to leave Mya along. She doesn’t need anymore negative news. She can use the publicity, but not like this.